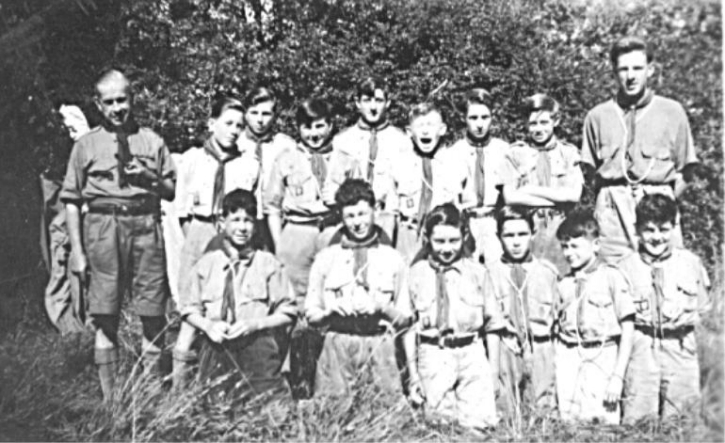 This picture shows the 1st Stock troop at their first summer camp on their own at Ely in 1948. John Watson is missing as he took the photo. Back row left to right : Skipper George Padwick, David (Chick) Coupe, Mervyn Clark, Michael Clark, Jim Sargant, Bill Hewitt, Maurice Elliott, Ray Tapp, Les Oakley.